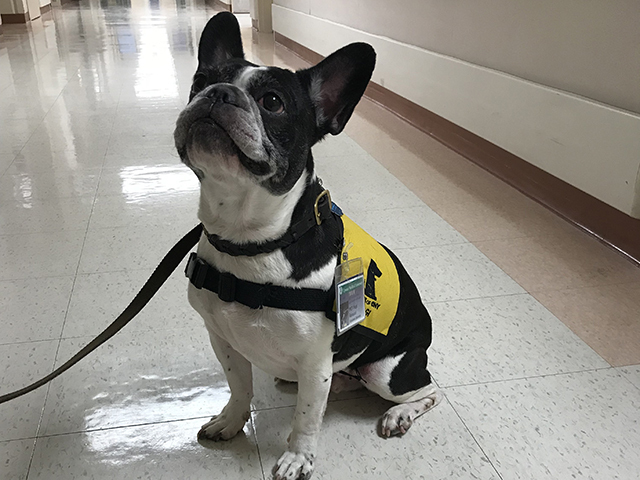 It's Yogi the French Bulldog, complete with Upstate ID badge, reporting to work at Upstate University Hospital's Physical Therapy and Rehabilitation Unit, where he serves as a therapy dog. 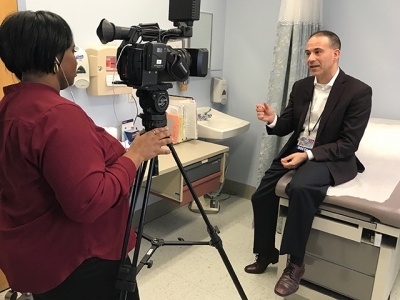 Jarrod Bagatell, MD, director of Employee Student Health, helps debunk some of the myths about the flu for Spectrum TV's Iris St. Meran. Mrs. Onondaga County Katie Mazzeo Flaherty with patients at Upstate Golisano Children's Hospital. She started the Northern New York Chapter of the For a Day Foundation in 2017 to enrich the quality of life for children who struggle with health issues and their siblings. 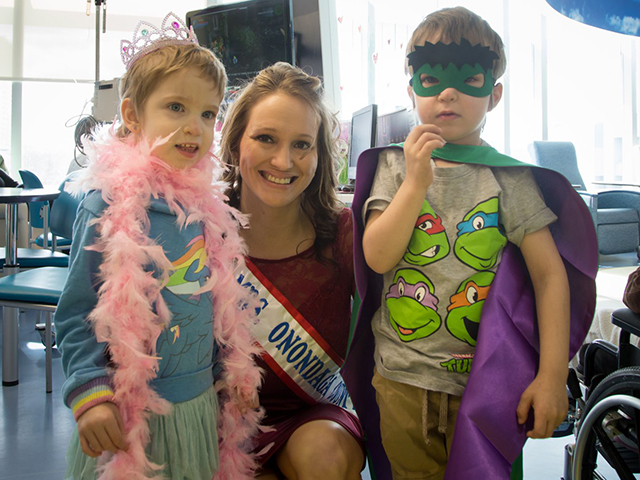 For A Day Foundation provides moments of joy for families, allowing them to forget about treatments while they become ‘Queen for a Day’ or ‘Super Hero for a Day.’ Flaherty visited the children's hospital earlier this week.